It's not happy people who are thankful. It's thankful people who are happy. Double Digits! 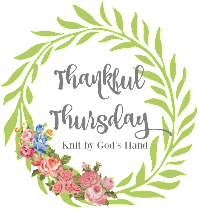 We're at 10 posts for Thankful Thursday! That makes me happy. // All the snow is melted away! It was just last week that I was snowed in my house with about a FOOT of snow. & yesterday, I was out in shorts playing Frisbee with Harvey. SPRING IS COMING!!!!! When the snow melted, this was underneath!!!! // Sweet friends who thought of us for an amazing opportunity. Unfortunately, we aren't able to take them up on the offer but it just touched Ricky & I so deeply that they would even consider us. I love how hearts mended in friendship stays tied together. // An awesome husband who runs out in 28 degree temps when he wasn't feeling the best. Poor guy has been sick all week long with a head cold. I feel so bad for him. But I know he would have still gone over & over again with me to this past race, even if he knew it would make him sick. // Target Cartwheel App. I can't tell you how much I use this app. This past weekend, this book was 20% off & then the app gave me another 20% off. How do you NOT make that purchase? Add this book to the pile on the table. So much reading, so little time. // My cute little dentist. She's such a gentle person. It was funny because she was getting ready to do a test that would either give me hope or instantly have me heading to an oral surgeon.... & before she did it, I said, "OK, the Bible says where there's 2 or more gathered in his name, He is near... can we pray real quick before you do this?" ... I said it with a little laughter trying to ease my nerves & my dentist grabbed my hand & totally said, "I'm praying right here with you"... that just made me happy. // Advil... I'm thankful for Advil. Or Livda ... however you want to look at it. Also thankful for a SUNROOF on a BEAUTIFUL DAY!!!!!! // My Mouth Guard. I actually quit wearing it at night when I had that "Toxic Reaction" to some unknown product. I considered everything to be the culprit, so I tossed my guard in the back of my bathroom closet. It could have been lost forever. But after lots of digging, I found it! Cleaned it up... & it has been a lifesaver already for my mouth. I forgot how much I really do grind my teeth. It's ridiculous I take all my stress out on my teeth. // Mark Hall from Casting Crowns. His surgery for kidney cancer was yesterday. They put out posts that the surgery went perfectly. Someone said they told the doctor that this was the most prayed for man of the day. I believe that's true. Someone who has blessed so many, I hope he felt the blessings that others were sending up for him. I can never figure out how to use the Cartwheel app. Maybe I need a lesson on it! So how did the dentist go? I'm guessing you didn't have to go to the oral surgeon? I think bad teeth are genetic. Cory never has problems but every time I go, I've got more issues with mine. I have had The Husband's Secret on my Kindle for over a year and have yet to read it. I really like another book I read by her so I don't know why I haven't started it yet. You'll have to let me know how it is! Oh I love that your dentist prayed with you!! I love to discover someone is a Christian when I least expect it. Happy for you that your weather is turning the corner! i had the cartwheel app but i never used it so i got rid of it! and YAY spring!! I just heard/saw about Mark's cancer yesterday - so awful to hear! I hate cancer! Girl, I love all your scarfs and YAY for the cartwheel app! GOODBYE SNOW! That makes me so happy! Our first patch of grass appeared today in like two.. three months? Definitely something to be thankful for!